Book your airport car hire and cheap airline tickets online today. Save time and book your Flights to Kimberley Airport Car Hire directly online. Once you collect your car hire from our Kimberley Airport Car Hire depot, the city of sparkling diamonds awaits you to explore it. A visit to the Kimberley Diamond Mine museum is a must. A viewing cantilevers out over the “Big Hole” for superb photographs. A tour through the underground will explain how the vertical shaft was mined, lastly a tour would not be complete without a walk through the reconstructed village full of shops and bars. From Kimberley airport you can tour across South Africa with the knowledge that a Tempest car hire Depot is not too far away. Offering you the comfort of secure backup service. Your car can be returned to any number of destination of Tempest car hire depots along your route. We strongly advise to always book your cheap flights & car hire as early as possible to avoid disappointment, Diamonds may be plentiful but Flights and Cars are not unlimited ! Don’t gamble with your marriage and also ruin your holiday plans …. after all, are you not taking her to see her best friend? As Kimberley car hire is in demand with those who want to explore the history of the Diamond mining trade. We strongly recommend that you Book Online as early as possible to avoid disappointment. This is particularly important, if you have made arrangements to travel further on holiday across South Africa. The Capital City of the North West Province of South Africa. Kimberley got its name from the word Kimberlite which is an igneous rock best known for sometimes containing diamonds. Normally it is the cone from the inside of an ancient volcano rising high above ground level. 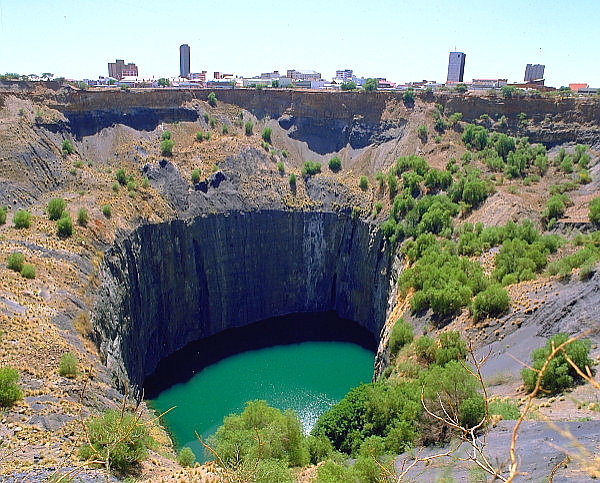 What is now left in Kimberley is commonly know as the “Big Hole”. The hill has gone and the volcanic pipe has all been mined out. The original volcano has been mine back to ground level and to a further depth of 1,097 metres (3,599 ft). Kimberley mining started in 1871 by Cecil John Rhodes and Barry Barnato and continued until 1914. A Diamond company was formed called De Beer who was the original owner of the farm. The mining company name is now internationally known as De Beers Diamond mines. Car Hire Cape Town is backed by Multi National car hire companies and has been based in Cape Town since early 2004 but offers you South African Car Hire right across South Africa at all major airports, Cities, and major railway stations. We have you covered. Please read are terms and privacy statement which is the basis under which we operate. This affords you the peace of mind that no matter where you travel in South Africa, back up service is never far away. Your car hire can be further extended to cross international borders with certain neighbouring countries. 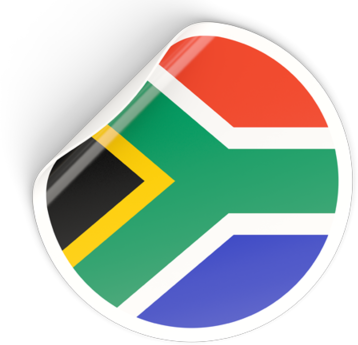 Your South African Car Hire can also be collected or delivered to your hotel subject to a small charge dependant on distances. Can it be made any easier? Copyright 2019 Airport Car Hire and Online Flight Bookings. All rights reserved. Powered by WordPress. Theme: Suffice by ThemeGrill.